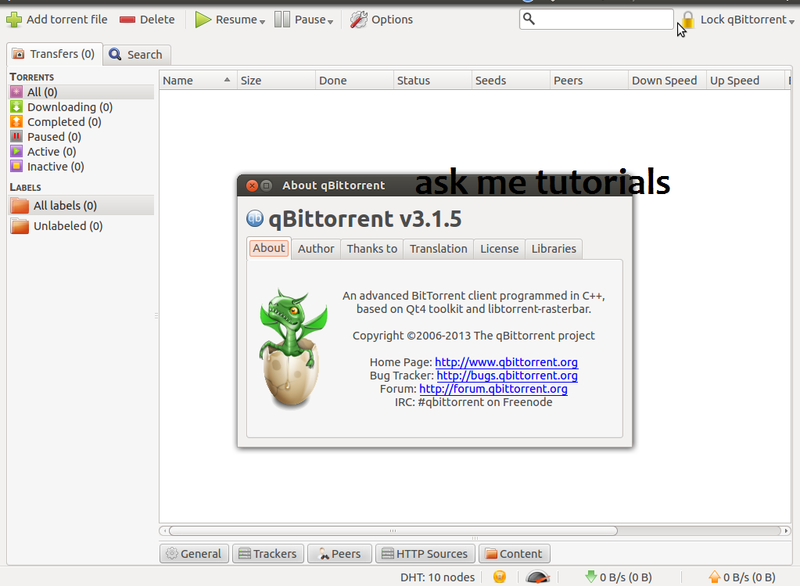 qBittorrent main aim is to provide free software alternate to utorrent. Third attempt at fixing saving settings on OS shutdown. Preview now correctly uses the selected file. Allow to resize the columns in Add New Torrent dialog. Ensure that at least one column in the tranferlist is always visible. Ensure that the options window will always be placed onscreen. Delete temporary files after they aren't needed. Closes #1188. Fix rss settings corruption when checking regexp and going to other rule. Don't count paused torrents for the autoshutdown.